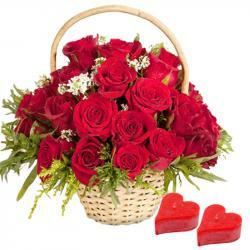 Product Consists : Valentine Greeting Card, 3 Bars of Cadbury Dairymilk Chocolates (Weight : 13 Gms Each) along with One Fresh Red Rose. 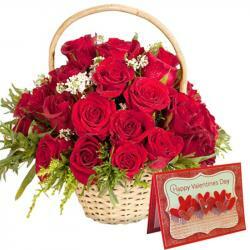 Gift your love ones with lots of love on this Valentine by sending them exclusive gifts of Giftacrossindia. 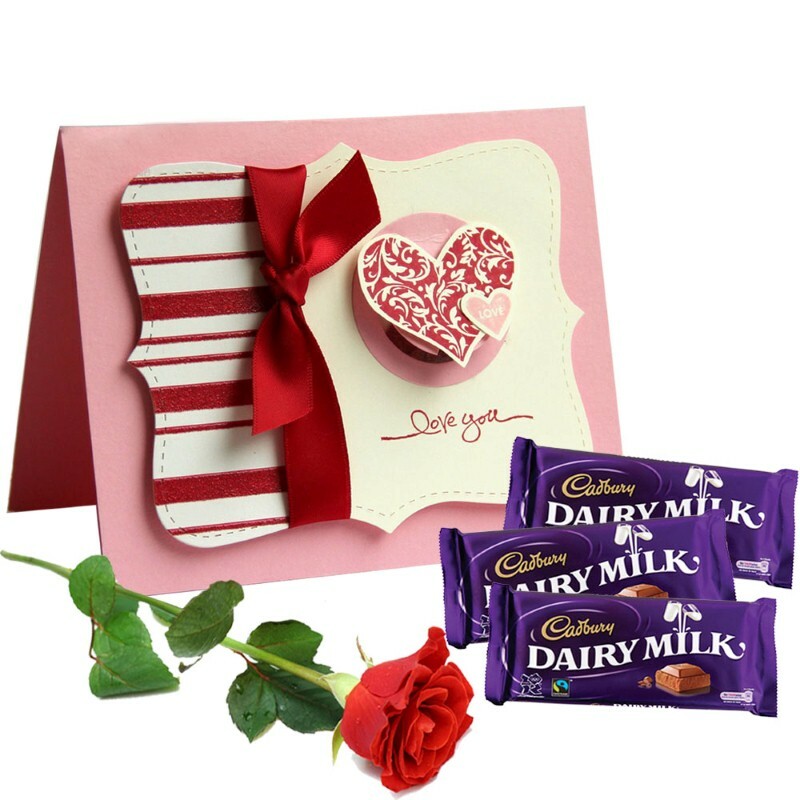 Give a super surprise to your love ones on this valentine love season by sending lovely Treat which contains cadbury dairy milk in a basket with One Red Rose and love you greeting card will be a perfect gift on this Valentine's Day. Dairy Milk Chocolate, which is made with Fresh Milk and Cocoa beans. 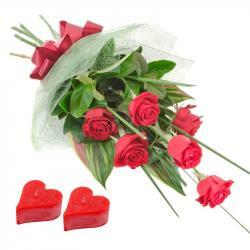 Every Chocolate lover will enjoy eating this Dairy Milk Chocolate from a special one with a Red Rose in this gift combo. 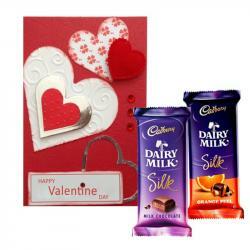 Product Includes : Valentine Greeting Card, 3 Bars of Cadbury Dairymilk Chocolates (Weight : 13 Gms Each) along with One Fresh Red Rose.